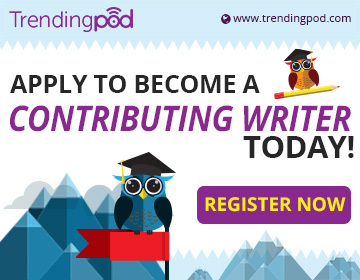 Trendingpod is an online magazine website that publishes trending and hottest stories on the web. Get a dose of hilarious facts that will blow your mind. Discover pretty shocking truths that will rock your world. Ready? Go ahead! Join our growing community of writers, bloggers, journalists, literary enthusiasts and photographers. We encourage bona fide and aspiring writers across the globe to share your thoughts. Touch a soul with your story.